Strip protective spikes and surges. 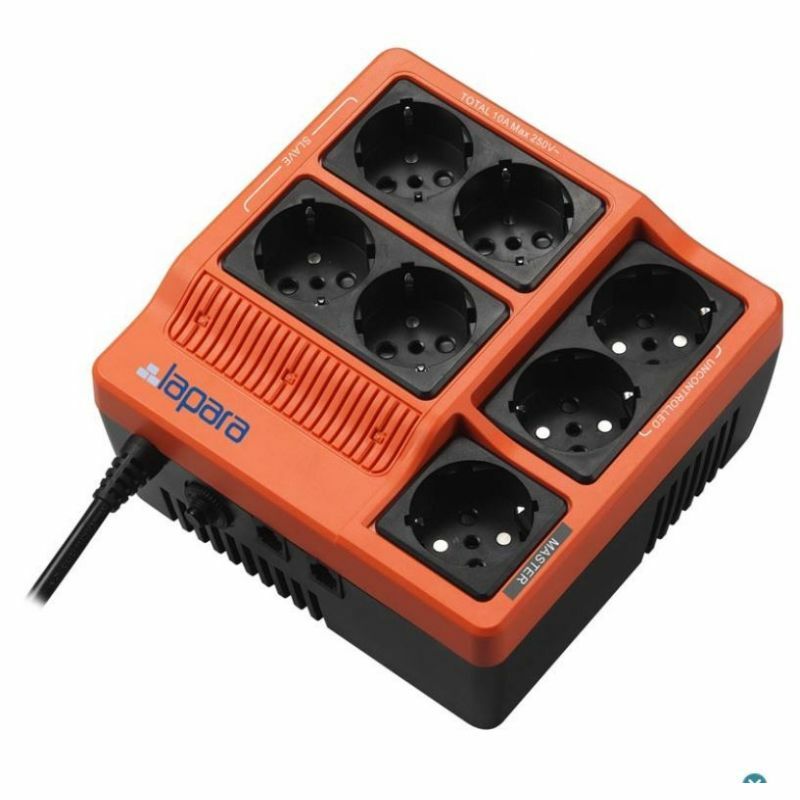 This power strip is designed to provide protection against current peaks and, as a power strip to connect multiple devices. It has a specially studied design to allow you to save the expenditure of energy that is supposed to keep the connected devices in standby mode. The outlet main, also called Master, controls the outlets, auxiliary, called Slave. When the computer is connected to the jack Master is turned off, the jacks auxiliary will turn off automatically, so that the devices connected to them are also shut down. On the other hand, also has outlets separate in case you need to have the device continue to receive power even with the computer turned off.